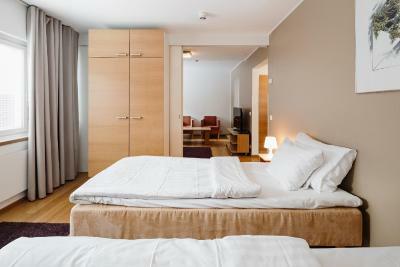 Lock in a great price for Hotel Rantapuisto – rated 8.7 by recent guests! The hotel is outside Helsinki, quiet relaxing area, wonderful views. Spacious comfortable rooms. Friendly staff. Breakfast is good, however could be a better choice. Free parking. About just 5 minutes to drive to Itis (Itakeskus) - one of the biggest shopping malls in Finland. This hotel is a great value for money! 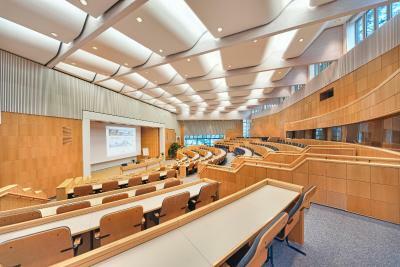 The location is excellent Modern buildings Easy to get to by car as well as by public transport. The bus stop is not far. Breakfast was very good The staff accommodated our early arrival. Many thanks! Staff is friendly and attentive to my needs. Location and view was splendid. The location is very quiet and truly beautiful with a private beach and gorgeous views from the dining room and other areas of the hotel. Restaurant is also very good and reasonably priced. Breakfast was nice. Not the most extensive breakfast buffet but quite ample and the view from the restaurant is wonderful. Place is clean and the staff was very helpful and welcoming. Beautiful simple elegant architecture, great sea view, the bed in the twin room could be a little bigger, but overall very comfortable, we stayed during winter season, will definitely come back again for summer or any other season again. Hotel Rantapuisto This rating is a reflection of how the property compares to the industry standard when it comes to price, facilities and services available. It's based on a self-evaluation by the property. Use this rating to help choose your stay! One of our best sellers in Helsinki! 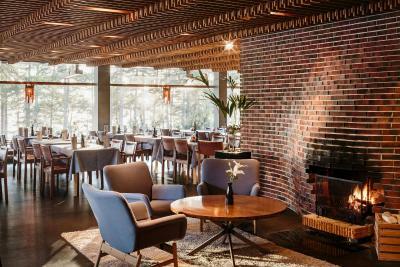 Located by an unspoiled beach in the Vuosaari district, this hotel is 20 minutes’ drive from central Helsinki. Its rooms offer beautiful views of the surrounding forest or the Baltic Sea. Parking is free. 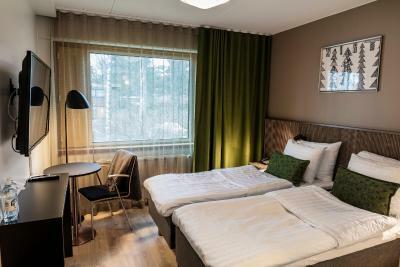 All rooms at Hotel Rantapuisto have wooden flooring and a writing desk. 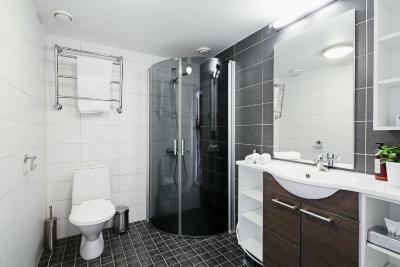 Bathrobes and slippers are provided in some rooms. Breakfast is served daily, and dinner is available in the restaurant Monday-Saturday. Drinks can be enjoyed in the lobby bar. On Sundays, guests can also enjoy a tasty brunch. Staff can help arrange archipelago cruises, hiking tours and canoeing trips. 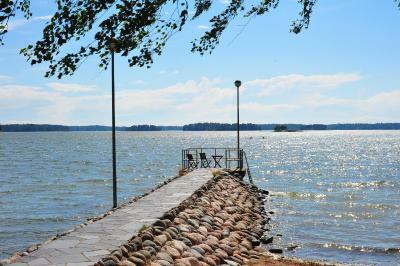 Kallahti Recreational Park is found 1.2 mi away where walking trails and a sandy beach are found. Itäkeskus Shopping Center, the largest mall in the Nordic region, is only 1.9 mi away. There is a bus stop in front of the hotel, offering connections to Rastila metro station, 1.2 mi away. By metro, guests can reach Helsinki Central Station in 22 minutes. When would you like to stay at Hotel Rantapuisto? With views of the Baltic Sea, this spacious room includes a seating area with a TV and work desk. Features Baltic Sea views, a TV and a mini-bar. This apartment features a kitchen, stovetop and seating area. 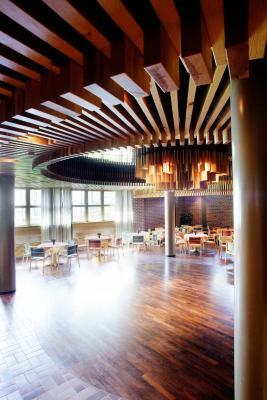 House Rules Hotel Rantapuisto takes special requests – add in the next step! Hotel Rantapuisto accepts these cards and reserves the right to temporarily hold an amount prior to arrival. When booking 9 or more rooms, different policies and additional supplements may apply. Nice and silent place in forest near to see line. Good breakfast. Nothing to say really, maybe I would wish a wider bed. In my room the bed was too narrow, still comfortable though. A great hotel for those who are tired of the city and who want to see the real Finnish nature. The hotel has a restaurant and lounges with sofas near the windows, where you can read the book or see sunsets and sunrises with a cup of coffee or wine. You can also walk in the woods around the hotel. There is a barbecue area with benches and firewood. We were placed in a renovated building. All furniture and repairmen were very fresh. Very clean everywhere. Excellent breakfast and very polite staff. Free parking near the hotel. Free internet throughout the hotel. Wanted a quiet place away from the hustle and bustle of the city. It's a quiet as a tomb. The forest and water front location. Clean comfortable and modern room. Visited in winter but was still warm and cosy. Beautiful scenery. 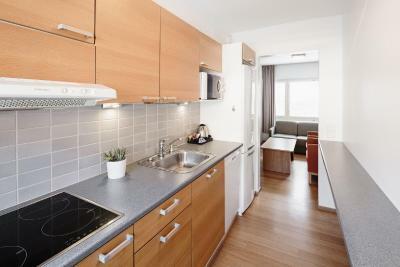 Little shared kitchen available with microwave and fridge. Supermarket was only 5 minutes drive away. Still in Helsinki but just enough out of town to feel the Finnish experience. Breakfast was great with lots of choices available. Plenty of parking. Highly recommended. Would definitely stay here again on our next trip to Helsinki. Toilets ventilation could be better. We had a delicious breakfast in a nice dining room with a fireplace and panoramic windows that overlook the bay. Sun snow and pines. Perfect morning. The rooms were cosy and clean. We got a forrest wing which is connected to the main building thru the underground tunnel. The main building has some Twin Peaksy vibes going on with plenty of wood in interior. And forrest wing is somewhat resembles the ferry halls. The bed was comfy, hotel cozy with a very unique layout and design. The staff was amazing and super friendly. Food was good at the restaurant and the location is perfect for city center visits or other areas. Breakfast choice could be wider (still good though). If I had to be picky I would say communal areas were a little col (rooms were cosy though). 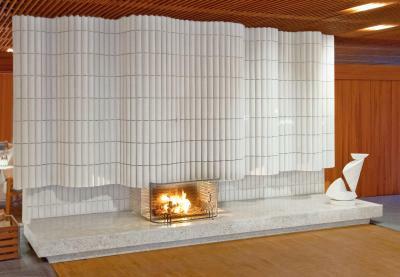 There was a wonderful open fire in the restaurant and the Hotel Lounge could benefit from something similar. 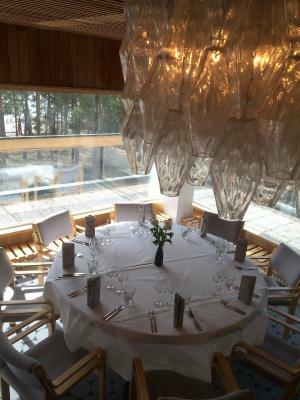 A wonderful and unusual Hotel just outside Helsinki on the beach. Being by the frozen sea was quite magical and the views from the Hotel of the beach through the forests are stunning. The Hotel is like a shrine to Mid Century Modern where there is great attention to detail of vintage touches throughout the space. The Receptionist/Manager was absolutely lovely and could not have been more helpful. Food in the restaurant was delicious and the snacks available 24 hours are a great touch. We had a super early flight but the hotel prepared a generous picnic breakfast for us to take with us. Highly recommended. Snacks sold at the hotel reception are expensive, e.g. 8 Euro for a bottle of beer. We had a very comfortable, spacious room with views of the sea. Breakfast was excellent, with lots of choice, also with a view to the sea. 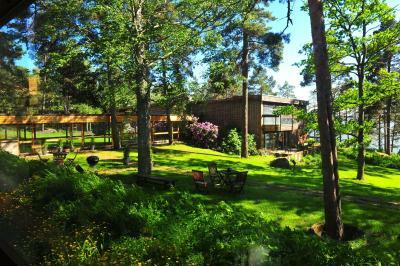 The hotel is built in a quiet residential area, amongst the trees, close to sea, surrounded by nature and feels very relaxing.